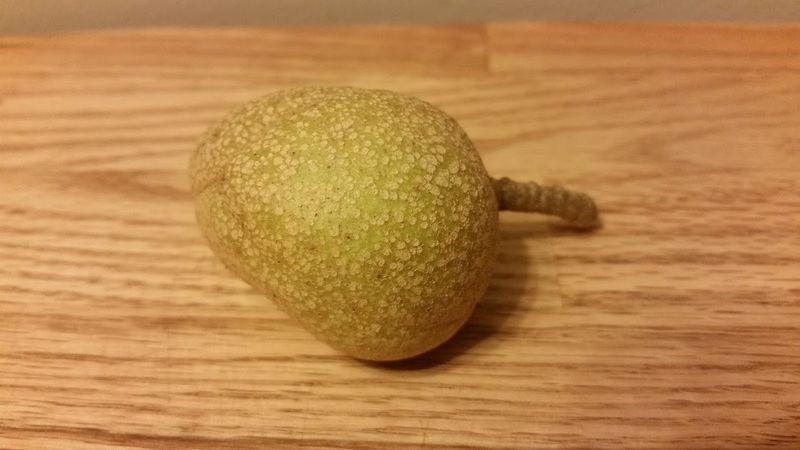 A few days ago I stumbled (literally) upon an odd little fruit that had fallen onto the sidewalk. It fascinated me because it had three large lobes and a hard, mottled outer texture. I couldn't figure out what it was, so I brought it home and promptly forgot about it for a couple days. When I picked it up today, one lobe had softened, and with a little pressure I was able to pop it off. The lobe contained a smooth, dark-brown nut! I have no idea what these are; they appear very similar to chestnuts but are missing the pointed tip and spiny shell. I don't know what to make of them. Does anybody know what these are? More to the point for this site, are they (safely) edible? I noticed a lot more had fallen nearby, and I'm not above gathering some if they're tasty. 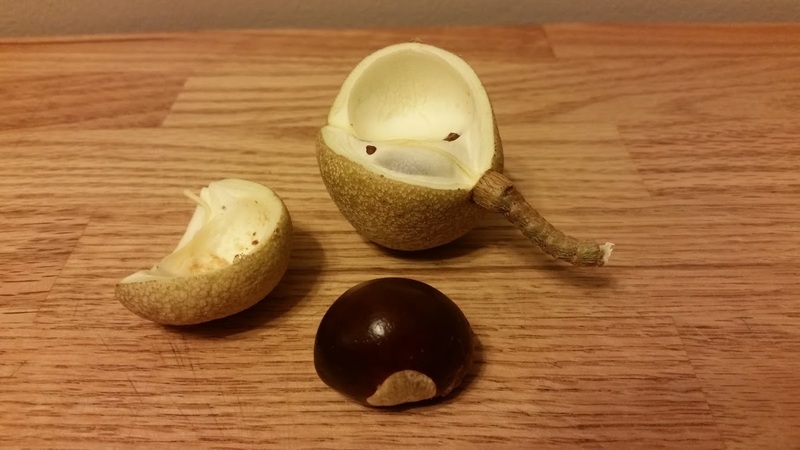 That is a buckeye, fruit of Aesculus glabra, also known as the Ohio buckeye tree. 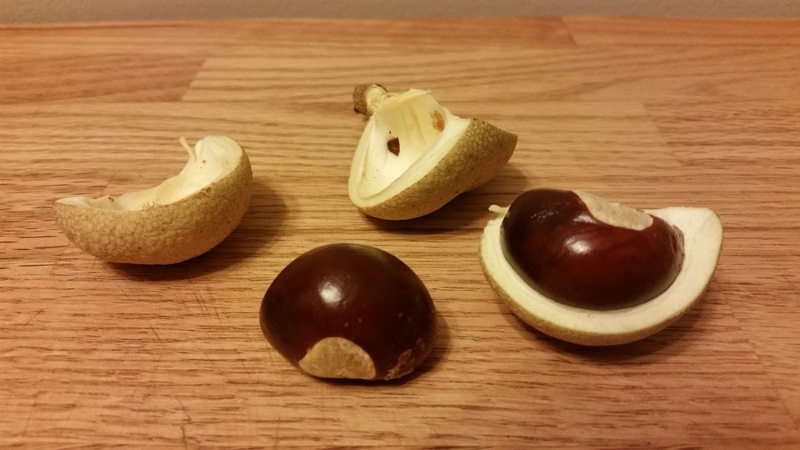 The seeds (the "buckeye" part) look sort of like a horse chestnut, but the fruit is different. These are what we Brits would call Conkers! Only we use a close relative - the horse chestnut. 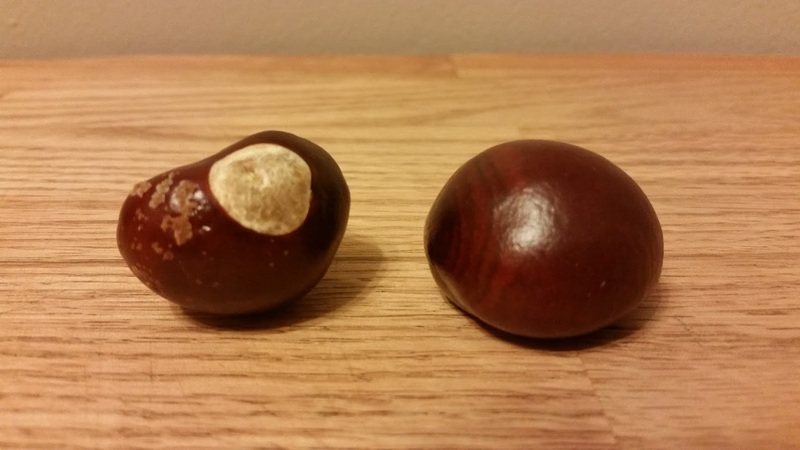 The schoolyard game of Conkers involves drilling a hole, threading a string with a knot and taking it in turns to smash your opponent's conker. Surfice to say that there is very little use for them aside from the wartime production of acetone. Horse chestnut trees are so abundant here that it seems a shame a more useful tree couldn't have been planted. Not the answer you're looking for? 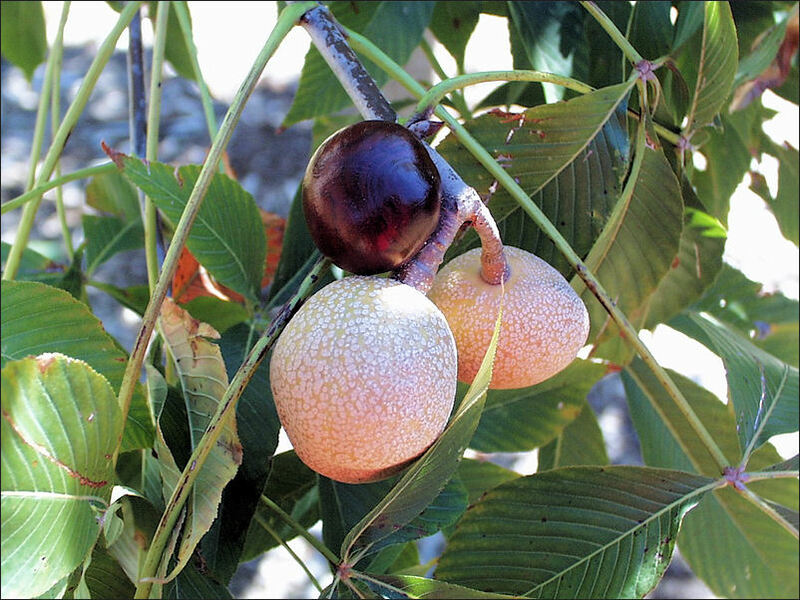 Browse other questions tagged nuts food-identification or ask your own question. What's the best way to crack open a Brazil nut without breaking the nut? 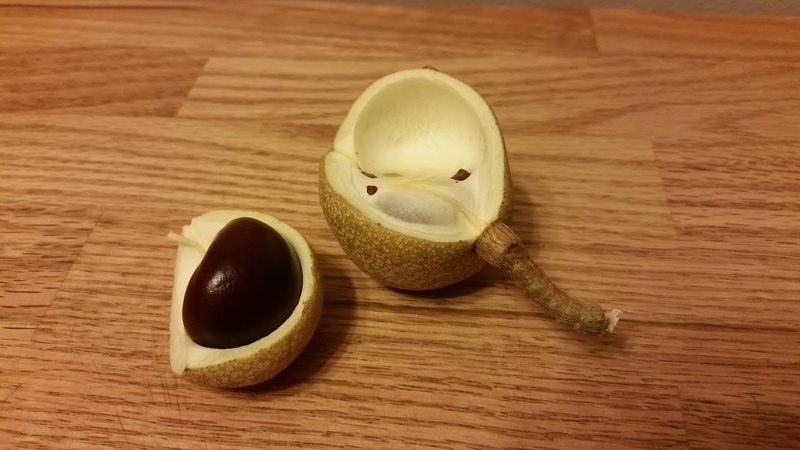 What is the inside of a nut called? Is a peanut a nut? How do you eat this type of Gingko nut? What can I bake for my nut allergic friend?